President Bush announced a proposal for climate change in response to criticism that the United States was largely adopting a "Just Say No" approach to Climate Change. President Bush's announcement today, however, was a huge disappointment. He called for a summit of the United States and other nations that emit greenhouse gases with the goal of setting a long-term global strategy for reducing emissions. Too little. Too late. Bush's proposal simply postpones the real hard work on Climate Change. And, as you can see from the graphic to the left, U.S. carbon emissions have gotten worse, not better, since Bush became President. Ever-rising industrial and consumer demand for more power in tandem with cheap and abundant coal reserves across the globe are expected to result in the construction of new coal-fired power plants producing 1,400 gigawatts of electricity by 2030, according to the International Energy Agency. In the absence of emission controls, these new plants will increase worldwide annual emissions of carbon dioxide by approximately 7.6 billion metric tons by 2030. These emissions would equal roughly 50 percent of all fossil fuel emissions over the past 250 years. In his latest book, The Language of God, Collins seeks to reconcile the findings of science with faith in God. 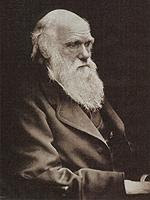 "Science's domain is to explore nature. God's domain is in the spiritual world, a realm not possible to explore with the tools and language of science. It must be examined with the heart, the mind, and the soul - and the mind must find a way to embrace both realms." Faith, spirituality and religion are too often looked upon as the province of "experts" who spend all their time in places of worship. At BustedHalo.com we frequently hear from readers who desperately want to explore their spiritual questions but feel alienated from traditional faith communities. The fact of the matter is that the experience of sacredness is as unique and personal as our fingerprints, but we sometimes fail to recognize these moments as God's way of speaking to us in our everyday lives. I have posted a timeline of the Anglican Communion since the founding of the Episcopal Church shortly after the American Revolution to the present day, including a recent blow-by-blow of the current mess.I developed this as part of our Lenten series at Church of Our Saviour.Take a look at it here. If you have thoughts for clarification, addition, or simple corrections in fact, please let me know. I see this as a living document. the linked issues of energy security and climate change. highlights our duties to future generations. The clearest example of the recent renewal in pro-gay rights attitudes comes from a question asking Americans whether they believe homosexual relations should be legal. Public tolerance for this aspect of gay rights expanded from 43% at the inception of the question in 1977 to 60% in May 2003. Then in July 2003, it fell to 50% and remained at about that level through 2005. Last year, it jumped to 56% and this year it reached 59%, similar to the 2003 high point. Individual articles appear under multiple headings and may even appear in multiple subcategories in the same heading. Objection: Global warming is happening on Mars and Pluto as well. Since there are no SUVs on Mars, CO2 can't be causing global warming. Answer: Warming on another planet would be an interesting coincidence, but it would not necessarily be driven by the same causes. Currently, according to Abdul Majid, a professor of zoology in Pakistan, there are three strands of Islamic thought about evolution: outright rejection, total acceptance and partial acceptance. He describes the theological arguments in an essay on the Islamic Research Foundation's website and readers who wish explore the subject further will find a large collection of links to other articles here. Since almost everyone in these struggles hates to see their opponents get anything they want, giving something to everyone, as Dr Williams as done, is a sure way to unite them, briefly, in hatred for the archbishop. 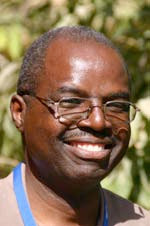 The liberal Americans point out that Gene Robinson was a properly elected and consecrated bishop so he should come to Lambeth; Martyn Minns is certainly a properly consecrated bishop, as the Nigerians claim. Why can't he come? Even Nolbert Kunonga is being defended, improbably enough, by some liberals, on the grounds that once you start rejecting bishops merely because they are repulsive, it is difficult to know where to stop. This is an argument that has more force than at first appears. 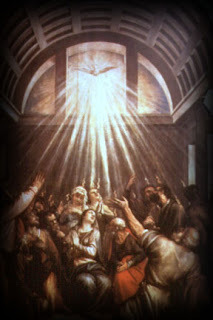 Peter Leithart, professor of theology and literature at New Saint Andrews College and pastor of Trinity Reformed Church in Moscow, Idaho, and an interesting post on the First Things First Blog about the meaning of Pentecost in our public lives. In short, he rejects the notion that the Holy Spirit only works in our private lives. I agree. What has Pentecost to do with public life? As Paul would say, much in every way. Books by liberals assure us that our “empire” is kaput. Brace for the inevitable fate of Rome. Conservatives are just as glum. For them, we are also Romans — but the more decadent variety, eaten away from the inside. . . .Yet American Cassandras are old stuff. Grim Charles Lindberg in the late 1930s lectured a Depression-era America that Hitler’s new order in Germany could only be appeased, never opposed. After World War II, it wasn’t long before the Soviet Union ended our short-lived status as sole nuclear superpower. And when Eastern Europe and China were lost to communism, it was proof, for many, that democratic capitalism was passé. “We will bury you,” Nikita Khrushchev promised us. Biological Basis for Moral Impulses? "You gotta see this!" Jorge Moll had written. 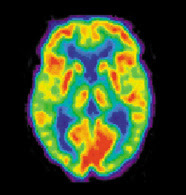 Moll and Jordan Grafman, neuroscientists at the National Institutes of Health, had been scanning the brains of volunteers as they were asked to think about a scenario involving either donating a sum of money to charity or keeping it for themselves. As Grafman read the e-mail, Moll came bursting in. The scientists stared at each other. Grafman was thinking, "Whoa -- wait a minute!" Sadly, most Americans have lost touch with the military. Joining the Army, Marines, Navy or Air Force is something that others do. As a result, a day like Memorial Day is too abstract--we vaguely (and briefly) recall the brave men and women who died while serving this country, but don't remember anyone in particular. 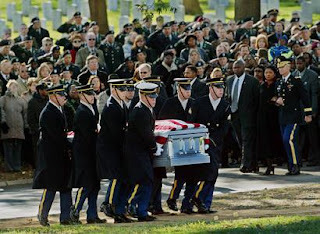 I want to make Memorial Day a bit less abstract by telling you about four men and women I called friends and colleagues who died serving this country. Three were solders. One was a civilian. All died serving this country. Andrew J. Bacevich is one of the best thinkers and writers on foreign policy in this country. Make no mistake, Professor Bacevich is no liberal--most of his writings have a decidedly conservative take, and he is a self-described Catholic conservative. He is a West Point graduate, a veteran of the Vietnam War, and a proud member of a military family. His son and namesake followed in his father's footsteps and became an Army officer. 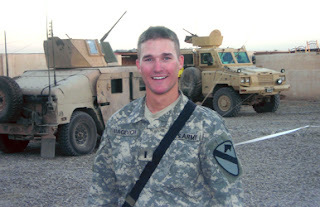 Sadly, the younger Bacevich died in a suicide bomb attack in Iraq earlier this month. What makes this so especially sad is that Andrew Bacevich (the elder) was one of the most articulate opponents of this unwise war. I receive the Department of Defense press releases by email, and felt like I had been hit in the stomach when I read the release announcing the death of Lt. Andrew Bacevich. I did not know either the son or the father, but I had learned to admire Professor Bacevich through his writings--both before and after the beginnings of the Iraq War. Q. 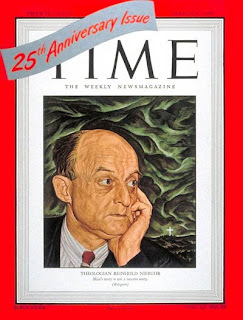 How does your approach to Christian social ethics compare to Niebuhr’s? Climate Control: What Works Best? 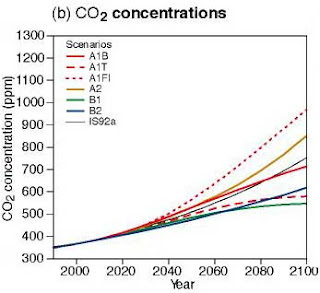 Cap-and-trade schemes for reducing pollutants have a lot going for them. First, many businesses favor them. Second, we already have an American example of a similar market that works. 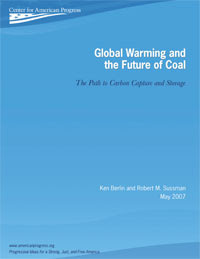 Third, carbon markets are accepted under international treaties and already exist abroad. Fourth, most environmental groups like cap-and-trade systems because they set firm limits on actual emissions. And, fifth, in theory at least, the flexibility of carbon markets enables businesses to figure out the least expensive way to reduce overall emissions. Tony Blair for World Bank? Pope to Speak on Climate Change at UN? Is Climate Change Worse than Expected?